The Compliance Sit Down Series - Leading Women in Compliance. Welcome to the 7th Edition of the Compliance Sit Down Series where this month I will be focusing on women in compliance. A recent report by Cooper Fitch Recruitment found that the percentage of females occupying top-level positions in compliance is relatively low in the UAE. How can we change this trend? What advice can we give to help more women reach the top? To discuss these issues and much more, I am joined by some of the leading female names in compliance and regulation in the UAE. 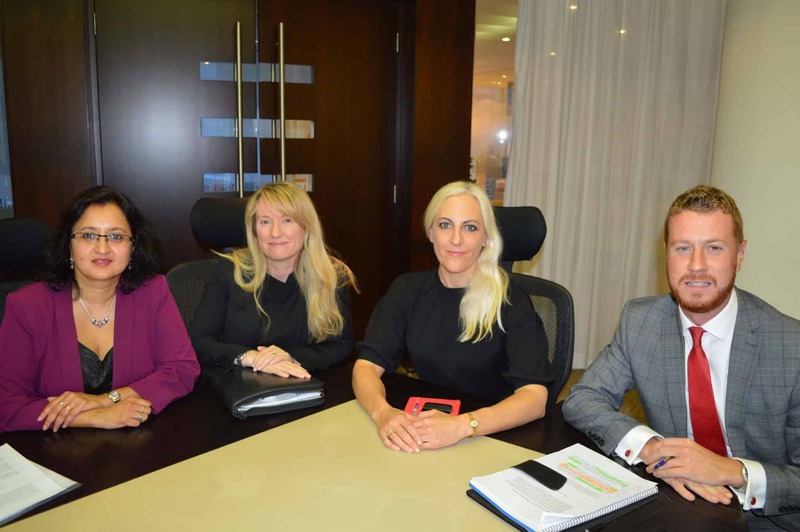 Clare Curtis (C.C), Director at CCL Ltd, Compliance Consultants, Radhi Patel (R.P), Head of Compliance (Private Banking and Wealth Management) at Emirates NBD and Linda Eketoft (L.E), Director of Compliance at Commerzbank, join me on the Compliance Sit Down Series. A mere 18% of Heads of Compliance in financial services are female for Central Bank regulated firms. The figures are slightly higher for offshore firms but again at 33% for females, it’s not outstanding. What do you see at the driving factors behind these results? C.C: These figures are indeed interesting although not surprising and are relatively characteristic of the financial services sector in general. They are however much better than when I first started in Compliance 20 years ago. I remember going to my first Compliance seminar in London and looking into a crowd of grey-suited men. I was wearing a blue dress and stood out like a sore thumb. At least this is not the case anymore. Compliance is also quite a new function which is still gaining recognition in the region so I guess, rather than seeing these figures as a negative I see them as moving in the right direction. R.P: You are right that the compliance and regulatory area is largely a male-dominated space in the UAE and for some reason, this space is not a typical career choice for many women either. This could also be due to the fact that in the UAE, the percentage of working women v/s men (only approximately 12% of the UAE workforce are women) which is considerably lower than other Western or Asian countries. However, I believe this trend is gradually changing. There are more women in financial services today and women today are more confident and self-assured. They are career conscious and dedicated towards being financially independent and socially equal. Finally, they probably have more support from their families which empowers them to progress in their careers and even pursue further education and obtain related qualifications. L.E: I believe that there are numerous factors to consider. Perhaps one of the prominent points I have experienced is that females could do better in promoting themselves. I am aware that it is something which is often mentioned in this context, however, unfortunately, I do believe that there is some truth in it. Secondly, I believe that females ought to support each other in the same way that females support their male counterparts as this could also be one of the reasons why females are not being promoted as often. Being recognized for one’s efforts and to equally being supportive of someone else’s successful work can never be a bad thing in my view. Collaboration always wins at the end of the day in my view. Overall, I also believe that there must be a genuine interest to become successful at anything regardless of gender and to demonstrate that interest only shows strength and dedication - something I personally make positive associations with. Is there anything organizations can do to reverse this trend? C.C: Women in business talk about a glass ceiling. I don’t see that being quite such an obvious issue in the UAE. Talent is generally well recognized and rewarded regardless of your gender. However, it is more difficult for women to get a seat at the table to start being recognized and it is here where firms could improve by encouraging women to take that seat and be heard, culturally in the region this is not so easy for either party. Also, as a new mom myself, proper maternity leave and flexible hours would encourage women to keep progressing in their career after they come back to work. This sort of arrangement has to be beneficial for all involved but without it, resuming a full-time role can be challenging, this is the same the world over. R.P: I believe organisations need to recognize the importance of gender equality and encourage women in the workforce. This will be more evident when the number of women in senior management and representation on Boards increases as well. Today in Emirates NBD Group Compliance, the percentage of women v/s men is nearly 50%, which is way above the country average, and this will eventually lead to more women moving into senior management roles within this department. However, we must recognize the fact that we live in a country which has a largely male-dominated workforce and hence the trend may take a bit longer to reverse. If key institutions focus on this, the progress can only be escalated. L.E: I personally believe that there should be fewer discussions around gender differences and more emphasis on quality and dedication. Any organization that can reflect that in their culture and link it to remuneration and other performance-related initiatives is in a good space in my view. Personally, I very rarely consider gender at all. I tend to think of people as persons of varying strengths and weaknesses. It is about building on one’s strengths and finding improvements to one’s weaknesses for longterm success. In terms of your own career and experiences, can you briefly explain how you navigated your path towards a senior leadership position? C.C: I’m not sure if I navigated a path or went off the road to get where I am. I would love to say there is a secret recipe but I just worked hard, learned as much as I could from my peers and kept in contact with those in the industry. Initially, I was working for the London Stock Exchange and this taught me a lot about how to communicate with people. In Compliance, you need to be able to impart information and you also need to challenge those you work with, if necessary all the way up to the Board, without creating a "them and us" environment. I learned this skill early on and it was important as it has helped me move to different roles and gain the respect of those I have worked with. R.P: I have spent close to 15 years in the UAE now and have been working for 12 of those years in various group companies within the Emirates NBD Group. I am a lawyer by qualification and have always worked in the financial services sector ever since graduation. When I had to leave India because of my husband’s career, I was determined that the move would not cause my own career to suffer a setback. I was lucky to be employed by an institution that has supported me, through the birth of my 2 daughters and the various challenges that most working mothers face. This has allowed me to grow both as a career woman and as a mother. I worked hard to help the bank grow, in compliance and related areas and have persevered to grow my career path and learn at the same time. I have to say that this would not have been possible without the support of my husband who believes that household responsibilities must be shared by both partners in a marriage. L.E: As the first point of call, I believe that one should never underestimate the power of networking – both with your peers, your managers, your juniors and anyone else whom you believe you can learn from within and outside your industry. Obtaining new knowledge and experience in a broad sense always helped me think strategically about solutions and to identify important resources to achieve my objectives. It is also very enriching and enjoyable taking this stance. Even more, it always helps to be part of an organization that takes career mentoring seriously, including your direct line manager. Overall, thinking of your own career in a strategic way by constantly challenging yourself to learn new aspects of the job and beyond is what is most important; recognizing that there are always areas for improvement and to be excited and flexible about these challenges. What were the challenges you faced (as a female) along the way and how did you overcome them? C.C: I remember in one of my first Compliance roles at an international investment bank walking through the middle of the trading floor with some flowers my boyfriend, now husband, had sent me. I wished the floor would open up and swallow me. It can sometimes be a tough environment so you have to be able to give as good as you get without trying to become “one of the lads”. Sometimes you need to be better than the guy next to you but sometimes women try too hard at this. As females, we have our own talents and we should focus on our strengths rather than trying to beat them at their own game. R.P: There was often a time in the early years and to an extent even today where I was the only female in a meeting, part of a committee or member of a forum. This often caused many comments said in jest which may not have been said to my male counterparts. There were times I had to miss obligatory post-work social or business events as I had to get home to my kids. However, to a large extent, I have been blessed with broad-minded bosses and colleagues, who appreciated the value I could add to my job and do not allow my gender to come in the way of my growth. I also spent over 8 years based in the DIFC before my current role, where there are a far larger number of working women, especially at senior levels. L.E: I have never found myself in a situation in my career where I thought that a particular challenge presented itself because of my gender. Perhaps I have a bit of a different perspective as I very rarely think about these things. I am naturally quite a competitive person and being a quite active female in my spare time when it comes to sport activities e.g. mountaineering, rock climbing, martial arts etc. may have something to do with this as I always put emphasis on the ‘doing’ and ‘getting things done’ in a long-term, strategic way – i.e. challenging myself is what makes me thrive. As a leader, who is your own role model and why? CC: Penny Freer. She was the Head of Equities at the first Investment Bank I worked for. She literally ruled the trading floor. She was respected as the Head of the business area but always maintained her femininity and she really knew her stuff. R.P: I am not sure I have a specific role model, but I do admire women who have successful careers, have reached the top of their chosen profession (or as far up the ladder as they wished to go) and still have a family, spend time with their spouses and children and manage to pursue a healthy lifestyle and hobbies as well. In our society, it is completely normal for a man to achieve highest positions in firms, earn accolades ad infinitum, and bring home the butter that spreads the bread so, I admire a woman who can achieve the same, as a matter of fact rather than with an embellished sense of achievement. L.E: I have to say, Roald Amundsen, the Norwegian explorer of Polar regions who was the first to reach the South Pole in 1911, and then subsequently in 1926, being the first expedition leader for the air expedition to the North Pole, making him the first person to reach both poles. Amundsen was also the first person to traverse the Northwest Passage (1903-06) in the Arctic. I think that his leadership was sensational in that he had undertaken realistic research ahead of exploring the Polar regions, e.g. he lived with the :"Inuit people" to learn various survival techniques – effectively staying informed about details that matter to allow realistic preparations in order to be successful in his challenging and very critical exploratory undertakings. Amundsen did not shy away from the groundwork or what some people would refer to as ‘donkey’ work and it was, among other things, the understanding and experience he gained from it that made him a strategic and visionary leader with consistent success. Ultimately his leadership saved the lives of his expedition members. Finally, for our many readers of the series, what advice would you give to women aspiring to become future leaders be it in compliance, financial services or indeed their respective chosen field? C.C. Be confident in yourself. You are as good as anyone else but you have to believe in yourself to step forward and get your voice heard. Once you have done this it becomes easier but nothing in this life comes for free so you need to work hard to maintain your knowledge and always be willing to learn. Don’t let anyone tell you that you can’t do it. R.P. I would tell all women to follow their hearts and their dreams. It is important for women to get personal satisfaction from their careers (irrespective of the chosen field) just as much as it has been for men. Today, there are no careers that are better suited for a man versus a woman and provided the woman has the right support system around her, she can balance a family and a career just as well as anyone else. I should add, however, that even for women who have chosen homemaking as their mainstay, it earns just as much respect and appreciation. I would also say that it is important to remember that family is equally important (though I would say this for a man or a woman) and women do not need to work harder and take away time from the family to prove themselves to others – the greatest proof is when you know you are doing your best! L.E: Be genuinely interested in your career or choose another one. Always continue to challenge yourself to improve. Always stay informed in order to think strategically about solutions. Do not be afraid to take credit for your hard work, and equally ensure you provide positive feedback when it is deserved. Be confident in taking hard decisions where they are necessary, and always be prepared to justify any decisions to yourself and others. Strong leadership and effective collaboration for long-term success. Coming Soon…… In next month’s edition of the Compliance Sit Down Series, we will be investigating gender pay gaps in the banking sector UAE. To read previous editions of the Compliance Sit Down Series, please click here. 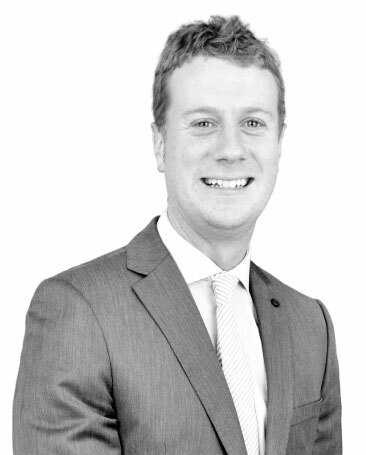 Alan Hynes manages the banking and financial services recruitment team at Cooper Fitch Recruitment UAE (formerly Morgan McKinley Recruitment). He has over five years experience recruiting for banks, asset managers, private equity and brokerage firms in the GCC to identify leading talent. Alan can be contacted on ahynes@cooperfitch.ae.